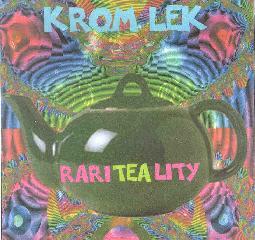 Krom Lek - "Rariteality" / When's The Future - "Now"
The latest from festie psych groovers Krom Lek is a collection of live and unreleased studio tracks, some dating back as far as 1986. Live cuts like "Collective Conscious" give good insight into the bands performances and include some dialog, which I like when listening to live shows. Ditto for "Brown Ale Frenzy" which is the longest track of the set and an outstanding performance of blazing space rock, though the sound quality is near bootleg. In fact, the sound isn't so hot on many of the live tracks, but it's sufficient to get a solid feel for what Krom Lek can deliver in concert. "De Dot De Dat" from 1988 recalls the most rockin and spaced out moments from Hillage era Gong. "White Wolf", from 1989, is very different from any other Krom Lek I've heard, being a short punky instrumental. "Funky Sax Thang" is another tune that's a bit different, having some Hendrix influences, and despite "Sax" being in the title this is very much a guitar song. "Face Snorta" is a ripping live instrumental that features some of the most intensely rocking guitar I've heard from Krom Lek. Among the studio tracks is "Insight", which is trademark Krom Lek and really communicates their blend of Gong and Ozric Tentacles. "Taking Warmth" includes the cosmic Reggae and Dub influences that are so prominent among the British festie bands. "Over Flow" is similar and is an excellent psychedelic-ska rocker. There are also a couple of alternative takes on known songs like "September Skies" and "Long Meg", with the latter being beautifully spaced out and an excellent song. We also get a couple of jam session tracks which feature Krom Lek doing what they do so well, though the jams are waaaaaaaaaaaay too brief. In summary, I would direct all newcomers to the Krom Lek experience to start with one of the first four studio albums, but seasoned fans should most definitely check this out, particularly for the live tracks and examples of the band in earlier times. When's The Future is a new band led by Dave Musgrove and Bazz from Krom Lek. This release is a 4-song teaser in anticipation of their forthcoming debut album. 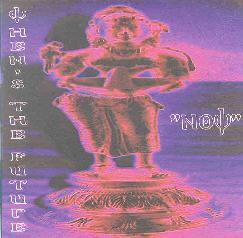 "Cop Out Dood" is very similar to Krom Lek but includes some standard rock elements, particularly due to some of the guitar work, but there's also some totally spaced guitar moments. A very good song with some nice trippy grooves. With "My Giddy Aunt" we get into some very different and interesting territory. It consists of cosmic space electronics that blend early Tangerine Dream and Hawkwind (I'm reminded of moments from Electric Teepee and the live Love In Space). Very cool. If Dave and Bazz want to distinguish this project from Krom Lek this would be an excellent direction to travel in. "Slow Motion" is kind of a mixture of the previous two. It has a recognizable Krom Lek vibe, but also the space electronic elements that "My Giddy Aunt" has. I like it. And "Go East "N" Feast" is definitely East.... faaaaaar East. Drifting sitar and tablas make for a psychedelic journey to India, but it's also embellished by bubbling alien electronics. Lots of interesting stuff in just four songs and I'll be looking forward to hearing the full release when it's ready.